A dog's wardrobe isn't complete without a selection of fashionable, yet practical dog t-shirts, complete with slogans, images and customisable text. 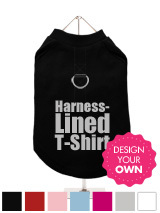 With a selection of harness or non-harness lined options, we're as much about safety as we are about fashion and comfort. There’s a huge range of, girl, boy and unisex dog t-shirts in our range, from GlamourGlitz selection and throughout the rest of our stock. If your dog is cool and he knows it, if she’s mummy’s little helper or probably the cutest dog in the world, we have a vast selection of slogan t-shirts to suit every situation. 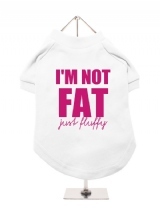 If a slogan isn’t quite what you’re looking for, then check out our vast array of image t-shirts like our queen bee or UK punk rock t-shirts. 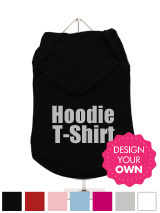 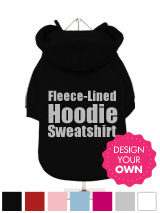 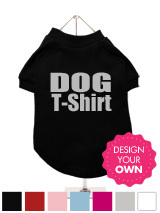 You can even customise your pet pooch’s t-shirt to suit his/her personality, by choosing the colour, text, font or image. Here at Urban Pup we’re providing the fashion conscious with all the stylish dog clothes you can imagine. We balance functionality with style so you can be sure that your pup is getting the best quality clothes that are both practical and attractive. 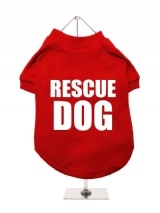 Fashionable dog t-shirts are one of our specialities here at Urban Pup. 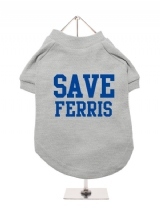 We're dedicated to providing warmth and safety with all of our clothes, as well as superior fashion to make your dog the best looking pup in town. 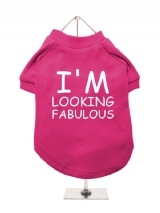 We have a huge range of fashionable yet practical clothes and accessories on our website, and only offer the highest quality at some of the best prices on the market. 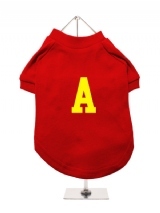 If you're looking for a new t-shirt for your dog, or have any other general enquiries, feel free to contact a member of our team today.